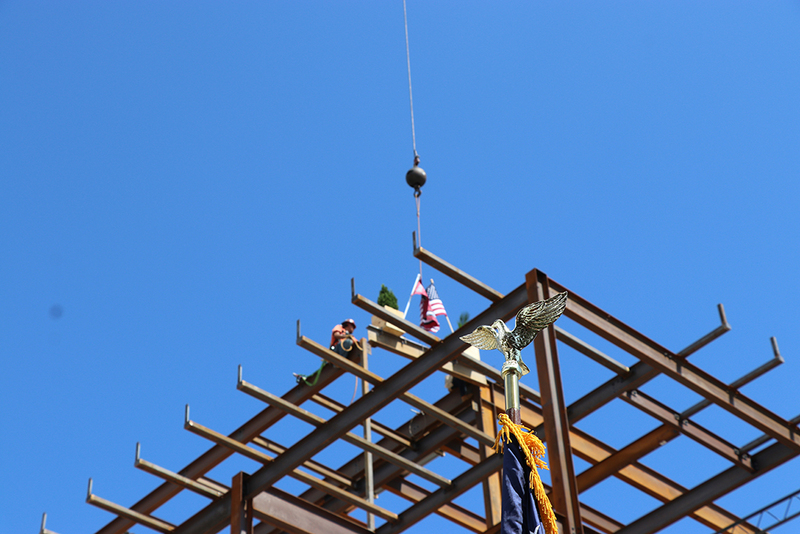 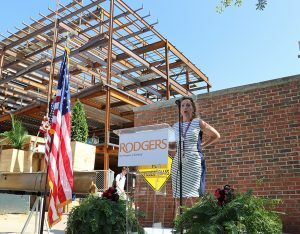 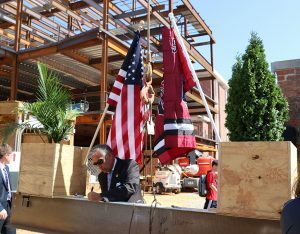 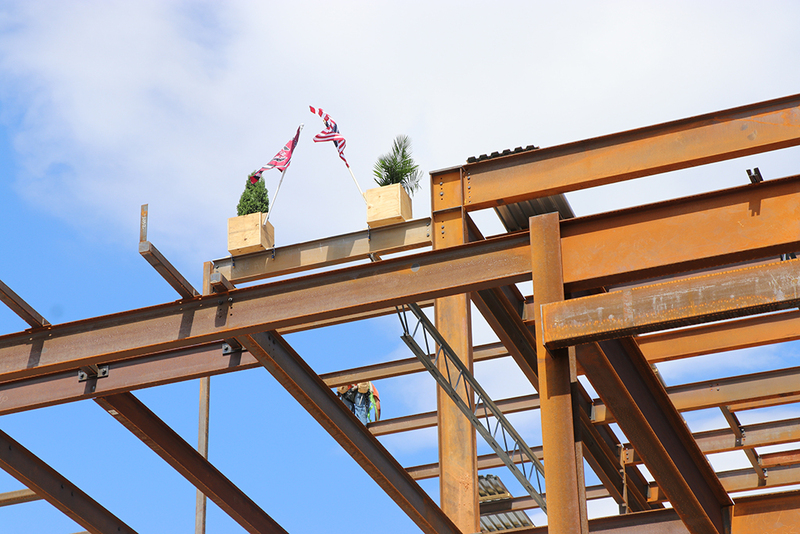 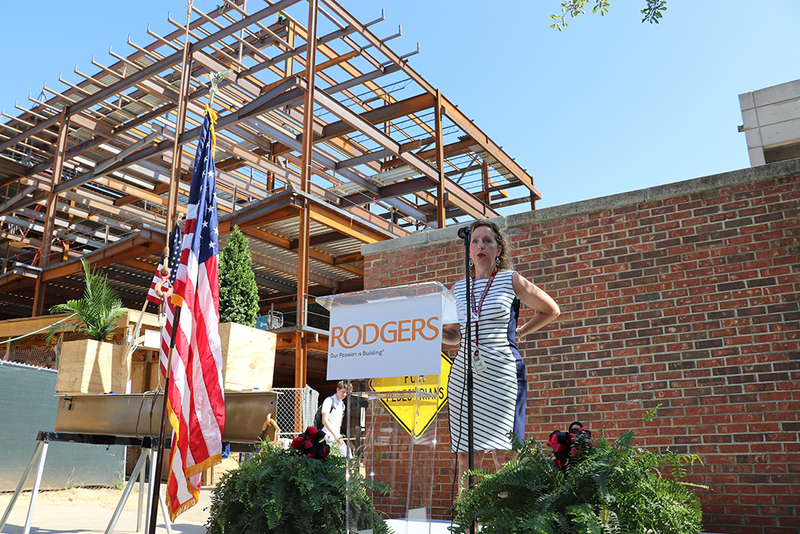 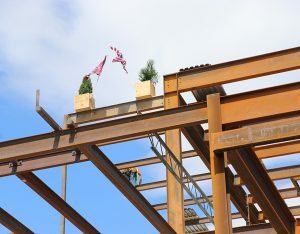 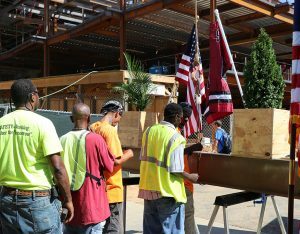 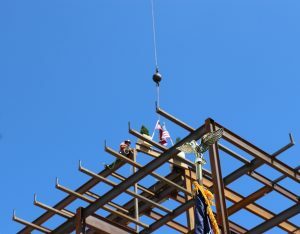 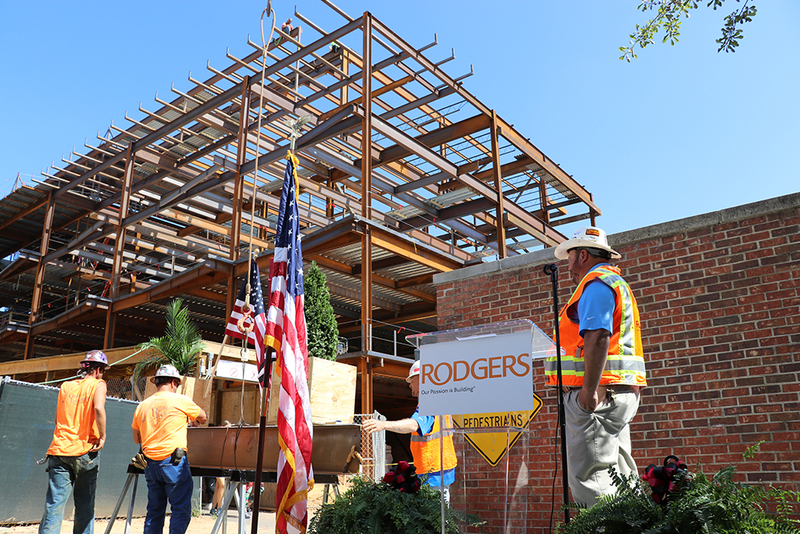 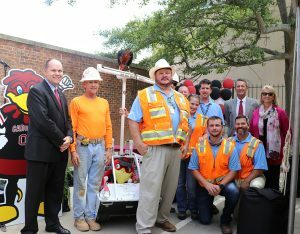 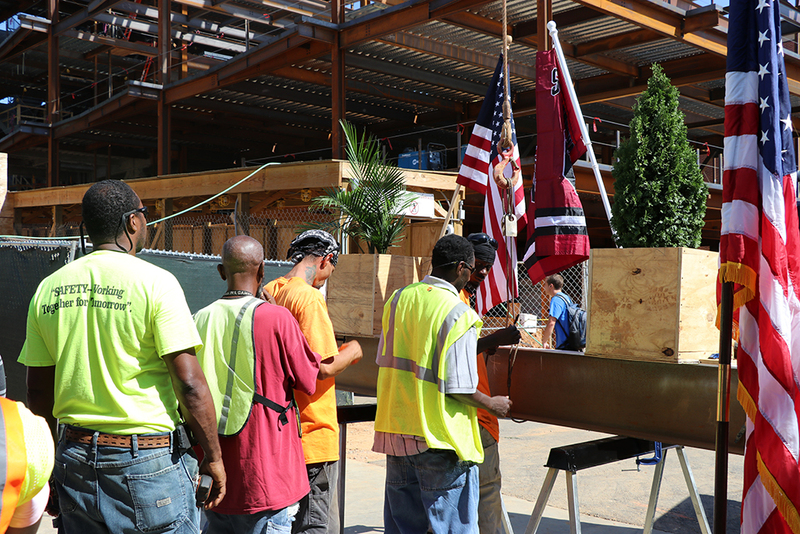 Construction manager Rodgers lifted both a palmetto tree and the traditional evergreen tree to top out the new student health center at the University of South Carolina in a ceremony held on Monday, September 19. 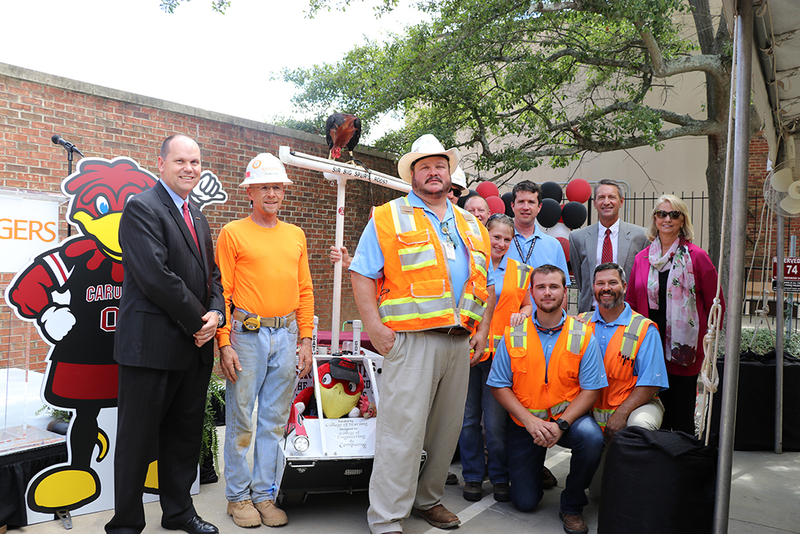 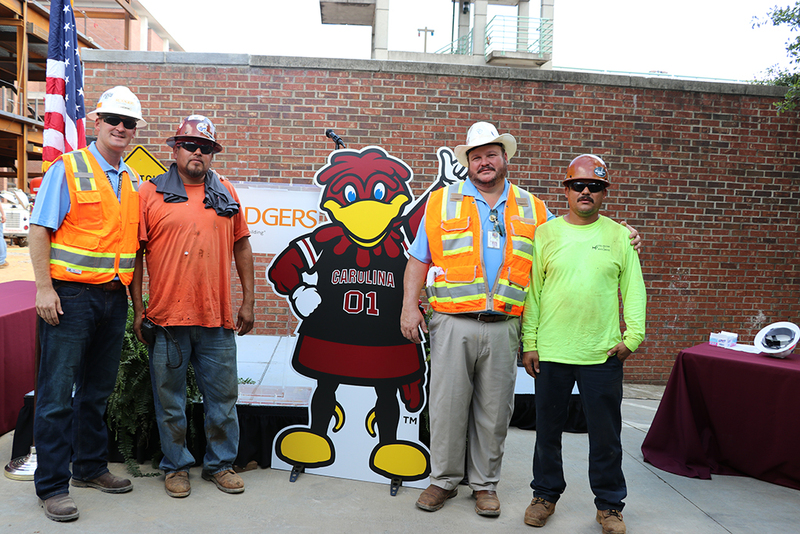 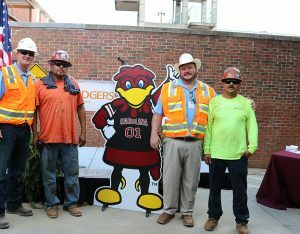 Craftworkers joined USC’s administration, staff and guests to celebrate this significant milestone. 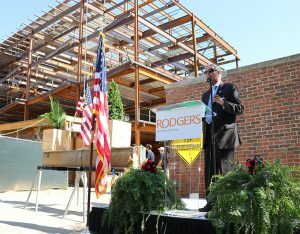 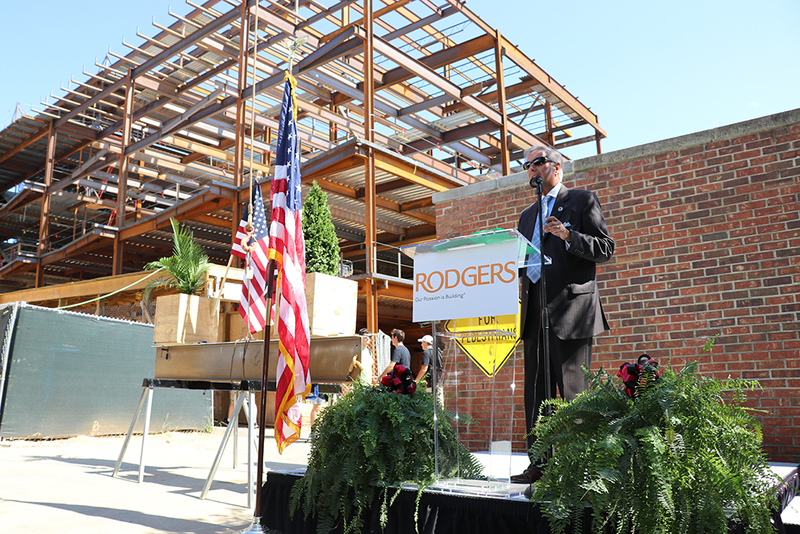 “What makes the Student Health Center so special is that this building will serve every member of our Carolina Family. 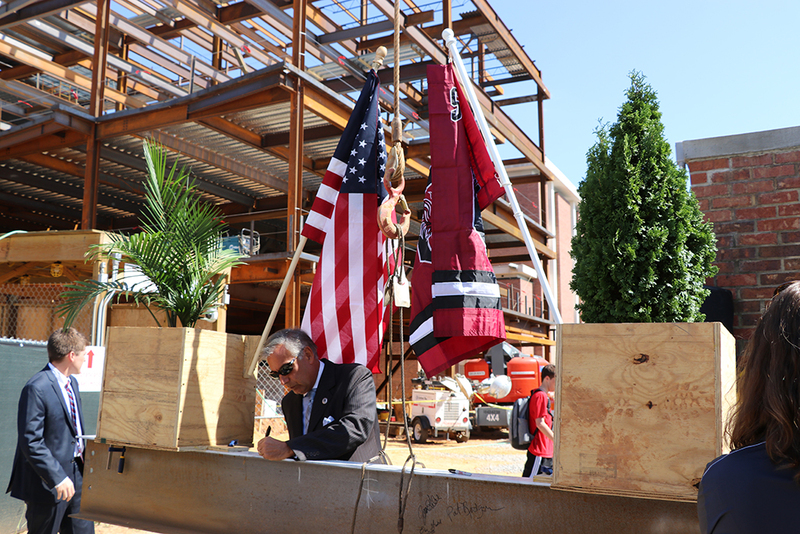 It is a building for all,” said Dr. Pastides, President of the University of South Carolina. 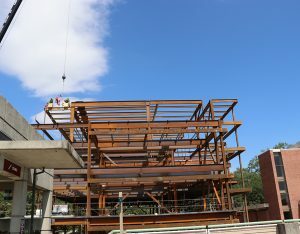 The new 68,000-square-foot health center will house Student Health Services, creating a campus center focused on health and mental well-being. 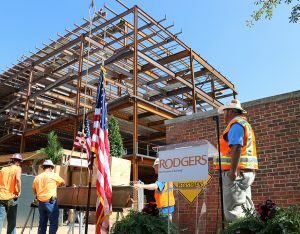 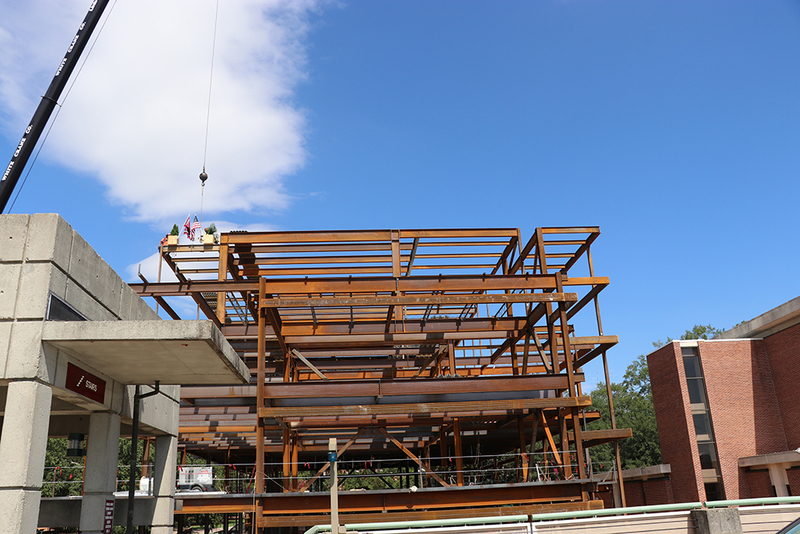 The building will contain a wide range of medical and ancillary services, including clinical services, a laboratory, radiology services, a pharmacy, physical therapy space, eye care services and wellness programming.